Community Governance and Reward Distributions Methodologies | IOST Mainnet Launch Countdown: 5 Days! Invite friends to vote for nodes and earn 50% of their rewards. Since January 15th, more than 1.3 billion IOST votes have been cast in the IOST partner node election and more than 60 candidates have already been elected. 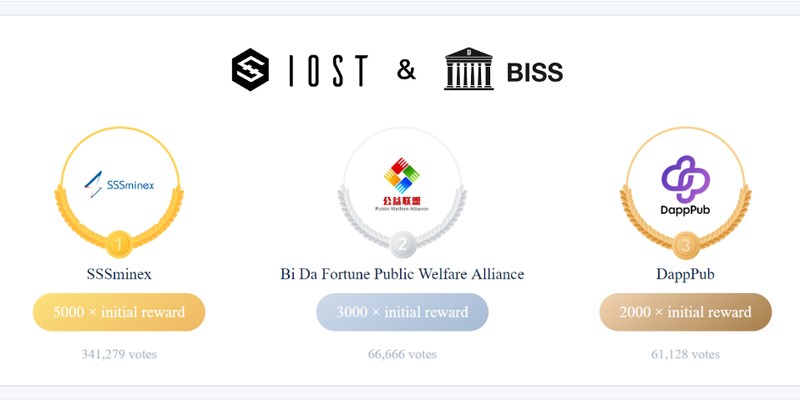 Voting Competition — Daily Reward pool of millions of IOST for Voters. IOST Election Voting Guide — IOST Voting Portal is Officially Released!